1st Gear:You're SYNCing With What? 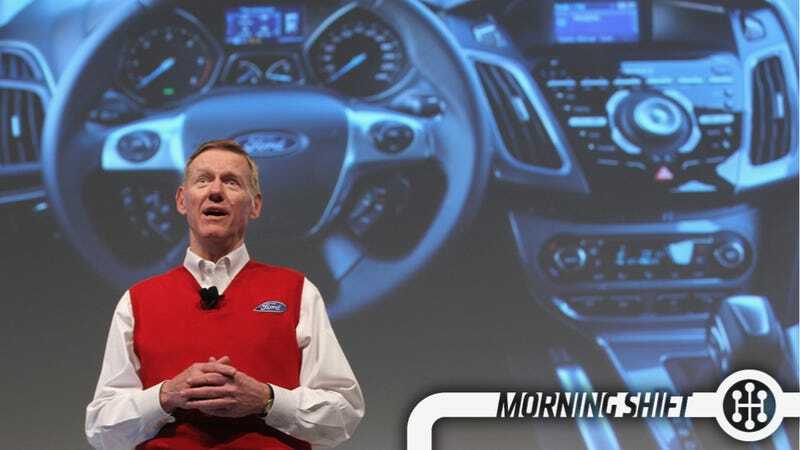 While not officially confirmed by either party, I have to belief that Chris Woodyard has it right in saying Ford's Windows CE-based SYNC is going to become BlackBerry QNX-based SYNC. Of course, we knew this was coming and we knew the outrage would be righteous. I'm not one of the outraged. SYNC is based not on some new version of Windows Surface, but rather Windows Embedded Automotive, which itself is just an auto-specific version of Windows CE — a program released 17 years ago. While SYNC works fine, it's a little slow and not at all the best platform. QNX may have been acquired by Blackberry, but let's not confuse it with something long-developed by Blackberry. They do use this Unix-based software to underpin their new products, it was developed by seemingly more clever people. It's also the basis for a lot of products we regularly use. If you were among the first people to buy Tesla stock, and you haven't sold it yet, Morgan Stanley would advise you to keep on keeping on as analysts there raised their price target to $320. Wowza. That's a huge jump over the $217 it closed at and, if the pre-market movement is any guide, that's going to cause an even bigger day. The reasoning? The proposed "gigafactory" battery plant and Tesla just generally being Tesla. When we look back in 100 years I'm curious if history will judge California's Zero Emissions mandate as something of little impact, or if we'll see actual usable technology come out of it. Clearly, the credit system has helped Tesla get to where it is now. But what of the hydrogen car? California wants at least 15% of new vehicles sold in the state to produce zero emissions by 2025, and its regulations require auto makers to sell electric vehicles or fuel cell vehicles to meet the requirement. Its mandate means that fuel cell cars will get double the emission credits compared to electric vehicles. The tests are an effort to determine how pricey hydrogen vehicles will compete with far less expensive gasoline- or diesel-powered cars. The biggest problem so far is their cost. Next is figuring out how to get the cars to fueling stations, where they are pumped with compressed hydrogen. I'm not yet convinced these problems have been solved or will be solved before we embrace an alternative. Acura builds a fine crossover, but their sedans are largely also-rans overshadowed by more interesting and more popular competitors. Though we've been saying this for a while it felt like those concerns were falling on deaf ears. Alas, good news from Bloomberg as they're mixing up their staff to address this issue. In particular, super-super-serious Erik Berkman is moving from president of Honda R&D Americas to division manager of the "Acura Business Planning Office," who's plan is to… make a plan, I guess? If you see this guy make sure to ask him to explain how he'll return Acura to its '90s era greatness. Just yesterday I was lamenting that I didn't think I'd gotten under anyone's skin the same way that Sam Biddle has at Valleywag in a while. Well, I didn't have to wait long! It seems the subtle nuance of my "Shill for the oppressors" joke was lost on Mike Rowe, as well as the implication that I felt the whole reaction to his Walmart advocacy was a little overblown. As this Facebook post indicates, he did not get the joke. Bottom line - We "played nice" in Ad Age because the people involved are all, well...nice. I'm just at a point in my career where I want to associate myself with messages that speak directly to the issues that are important to me. Great. I've invited Mike to come on Jalopnik and do a live chat with us. If you follow him on Facebook or Twitter, or happen to run into him, please encourage him to come on over. Neutral: QNX-Based Sync? Smart move or wrong move?